Sometimes when you’re eating healthy, it can feel option-less when it comes to breakfast … but not anymore! 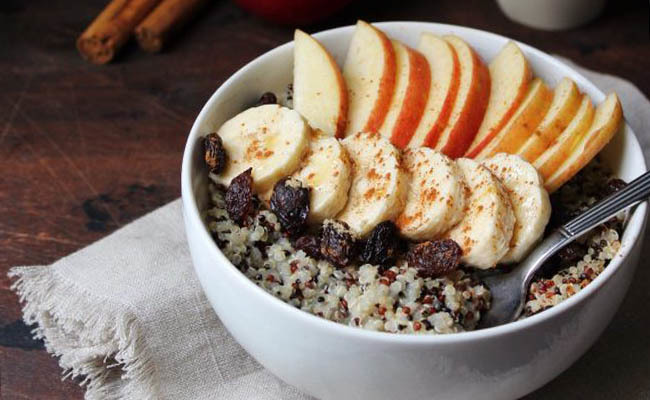 This filling, fruit-packed bowl is full of yummy flavors like cinnamon and apples! The raisins add a bit of natural sweetener, while the brown sugar takes it up a notch. In a medium pot and over high heat, bring water to a boil. Stir in quinoa then reduce heat to low. Cover for 10 minutes or until all the water is absorbed. 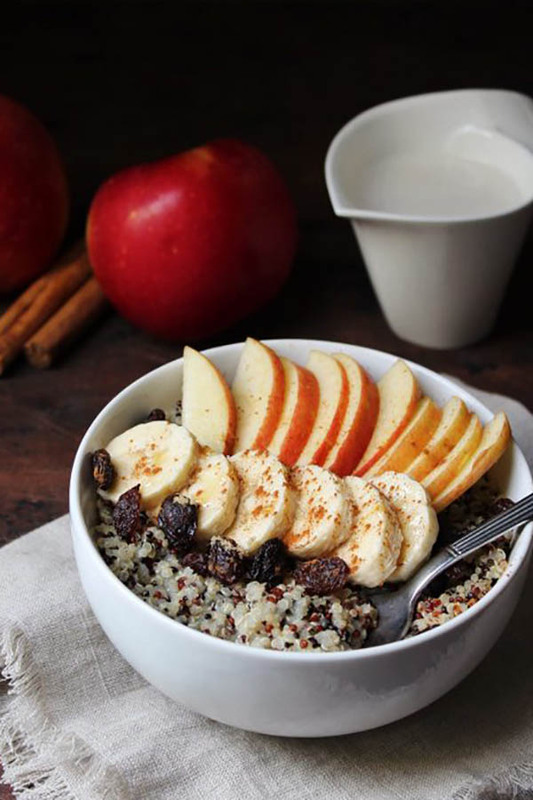 Fluff the quinoa with a fork, then add to a bowl. Top with banana, apples and raisins. Sprinkle brown sugar and cinnamon on top then pour milk on top. For more recipes, follow Plant Based on a Budget on Facebook and Twitter.